The best way to learn something is by experiencing which is why the auto detailing department at Toyota of Bozeman is so good. We detail over one-hundred vehicles every single month, and we know all the tricks to safely get out all the dirt and grime. 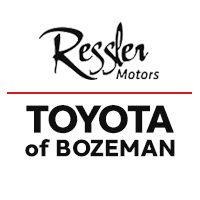 So, if you want to experience the best auto detailing in Bozeman, MT come see us at Toyota of Bozeman! The Exterior of the vehicle receives a hand wash with a steam cleaning to the door jams, wheel wells and the engine compartment. The detail team then performs a thorough vacuuming of the interior while removing any trash found during the process. After this, we clean and condition the vinyl and leather throughout the vehicle. Once the stains have been pre-treated, shampooing of the carpets and upholstery commences. Industrial fans are then used to ensure proper drying of the vehicle. While the interior is drying, the detail team begins work on the exterior. Tree sap, road tar and baked-insects are removed, and deep scratches are assessed. The whole exterior receives a hand buffing, and then a layer of protective wax. Tires and rims get a deep cleaning, and the windows become streak free before delivery. The exterior of the vehicle receives a hand was with a steam cleaning of the door jams, wheel wells and the engine compartment. The detail team then performs a thorough vacuuming of the interior while removing any trash. Next, we clean and condition the vinyl and leather throughout the car. Once stains have been pre-treated, shampooing of the carpets and upholstery takes place. Industrial fans are used to ensure that the vehicle is completely dried. The windows are cleaned before delivery. Get the showroom shine and help protect the exterior of your new and classic vehicles with a complete buff and hand wax. We will steam clean the engine and hand wash the exterior of your vehicle. The interior receives a thorough vacuuming, and the vinyl and leather are cleaned and conditioned. Do your headlights seem not as bright as they once were? The detail and reconditioning team can hand buff headlights to make them appear like new. This can save not only your visibility, but also your money. No more buying new headlights! Get a showroom shine and help protect the exterior of your new and classic vehicles with a complete hand wax. Let your engine breathe by giving it a steam cleaning. Take away the harmful dirt and buildup from your engine to help maintain your vehicle. A industrial grade ozone machine is used inside the vehicle to remove smells and odors for a lasting natural smelling result. Don’t put up with awful smells for another day! Each vehicle will be given a thorough exterior wash, then all chrome and wheels will be cleaned using special cleaners to restore its original luster. *Additional charges apply for the removal of dog hair. Detail Menu items I am interested in . . .